Oral health status among athletes in Chennai city. Oral health status among tribes residing in kalalakad tiger reserve forest range, Tirunelveli. Prevalence of dental caries in correlation with fluoride levels in drinking water among 12-15yrs old school going children of Sivakasi Taluk, Virudhunagar Dt. Prevalence of dental caries in correlation with fluoride levels in drinking water among 12-15yrs old school going children,Andhra Pradesh. Efficacy of CPP- ACP In Contrasting Dental Enamel Erosion In Sports Drinks. Economic inequalities and its effects on oral health. Comparison of the effectiveness of 0.2% chlorhexidine , herbal and probiotic mouthwash on oral health-a three month randomized controlled trial. Prevalence of dental caries in correlation with fluoride levels in drinking water among 12-15yrs old school going children,Karur. 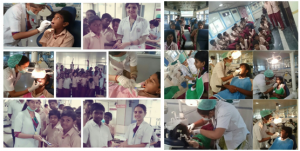 Prevalence of dental caries and dental fluorosis in correlation with fluoride levels in drinking water among 12 to 15 years old school going children of Kondapurammandal, Sri pottisriramulu Nellore district. Correlates of salivary flow rates, sweet craving and oral health status among long term smokers and Non- Smokers. Knowledge awareness and perception of AIDS and Hepatitis-B infection among nomadic Narikuravar (Gypsy) population residing at Valliyur, Thirunelveli district. 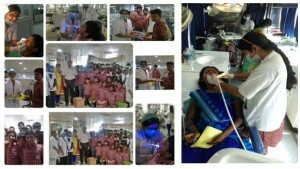 The impact of integration of a dental module into the existing integrated child development services scheme, Chennai, India. Association of paternal Individual deprivation index with general anthropometric data and dental caries among 12 to 15 year old school children in Tiruvallur district-A cross sectional study.